New vehicles often mean luxury when working with Porsche of North Olmsted, Ohio. You want something sensational. You’ve spent money on the ordinary. Now you want something extra special with your next major purchase. 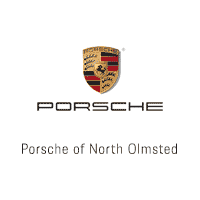 Have you visited Porsche of North Olmsted yet? It’s an opportunity to see our amazing inventory. Our current stock includes some of the finest luxury automobiles on the market. Comfort meets technology in our latest models. You’ll be impressed with the fabulous choices from our dealership when it comes to new vehicle variety. Are you looking for a car, truck, or SUV? Our dealership has a plethora of options to choose from. The amazing news is you’ll find plenty of options to select from at our dealership now and in the future. We are always bringing in more new and used inventory to choose from. There are many benefits to purchasing a new vehicle. You’ll be impressed with the modern technology in the last models. Infotainment systems continue to develop and electronics also are evolving quickly. Luxury and space are included with each model. Many additional features and trim levels allow you to pick and choose which specifications you actually gravitate towards. Warranties with new vehicles also allow you to get maximum protection against potential issues on down the road. You also get a vehicle with no previous ownership when you buy new. This means you aren’t purchasing a vehicle with previous existing issues. That could mean less dollars going toward repairs in the future. Our vehicles at our dealership are all in quality shape. How do we provide that for our customers? Our professionally trained technicians work hard to analyze each and every new vehicle that enters our dealership. We assess and thoroughly inspect each vehicle with care. Our technicians are aware you are spending your hard earned money on a new vehicle. You deserve the best. That’s why we take a considerable amount of time to make sure each car, truck, and SUV is in immaculate condition before it ever enters our lot or showroom floor. We know you have high expectations for your next new vehicle. You have dreamed about the possibilities of owning a new vehicle. We want to make sure we help you fulfill those expectations. You can visit our dealership today or call to schedule a test drive with one of our friendly staff members. We are always here to answer any of your questions about our new or used inventory. We will find answers and provide solutions as you progress with finding your next dream vehicle. Whatever you choose, we will always be with you for your automotive needs in the future. Our goal is to always provide the best possible customer service and meet your needs. We also want to be as flexible as possible when scheduling appointments. We know you have the busy demands of life to adhere to. We are here to make your visit as simple and smooth as possible.